We offer a broad range of surveying and land development services to public and private clients in Northeastern Wisconsin. Our vision is to provide professional, accurate, client-focused land surveying services of the highest quality to our clients. We utilize innovative, high-accuracy measuring equipment, such as state-of-the-art robotic total stations with live imagery and capture technology that allow us to see and measure to objects without having to be physically near the object. This, together with high-accuracy global positioning system (GPS) technology that uses virtual reference station (VRS) networks, allow for less time setting up equipment and referencing local coordinate systems (as opposed to conventional rover and base GPS systems). Our work is done with the utmost integrity, meeting all legal and professional requirements, with a focus on the needs of the client and the greater community. We hold ourselves to the highest ethical standards, and we strive to be fair, honest, courteous and professional in all our dealings. Whether you have an existing parcel, plan to create a new parcel, are in the design and construction phase, need to construct a storm water pond, require elevation and floodplain surveys or have a need for our industrial surveying services, we bring a high level of knowledge and expertise to every project we do. Have questions? Check out our surveying FAQs below or visit the contact page. Corner Point, LLC, was established in 2010 by Jeffrey DeZeeuw, a Registered Land Surveyor with more than 20 years experience in the land surveying and civil engineering fields at the time. In 2017, Corner Point, LLC was acquired by A.C.E. Building Service and the name changed to Corner Point - A Division of A.C.E. Building Service. 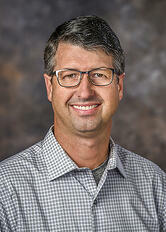 Jeff continues to serve as the chief surveyor for the company. Jeff is committed to leading the land surveying and design industry through its integrity, innovation, client satisfaction and financial strength. Dedicated to raising the overall standards within the industry and are devoted to maintaining an active profile within industry organizations and associations, he, and the entire team at A.C.E. is further committed to the development of strong ties to our local community. Corner Point acknowledges its responsibility to Manitowoc and the Lakeshore area. By our leadership and active participation in community affairs, as well as our economic vitality and quality of our services, we can greatly contribute to enhancing the communities of which we are a part. We are committed to providing our clients with the highest quality land surveying and development services in the area. We accomplish this by using state-of-the-art technology, researching every job thoroughly, and keeping our knowledge and skills up-to-date through continuing education. A property survey describes, maps and marks corners and locates land ownership boundaries, features and improvements. Why make a property survey? Land and its improvements are a major financial investment; therefore, it’s important to know exactly what you are investing in, so as not to be surprised by any encumbrance such as encroachments by neighbors onto your property or by you onto neighboring property. A survey is a good investment. Professional land surveying and mapping services will involve less time, concern and expense than moving a building or other improvements, revising your land boundaries or development plans or defending a land boundary dispute in a court of law. To avoid or deter such litigation, undue costs and inconvenience, it is recommended that you retain the services of a Professional Land Surveyor prior to any land investments or property improvements (such as construction of a house, garage, shed, fence, etc.). When property is divided to create new parcels for sale or development. When property is planned to be developed or improvements constructed. When the location of property boundaries or corners are uncertain. When property trespass or encroachment is evident or suspected. If you buy real property without a survey, do you really know what you are buying? Realtors are not licensed land surveyors nor do they have the expertise to survey land. In most cases there is no visible evidence that would show you where the property lines are on the ground, as they are described in the deed to the property. Does Title Insurance Protect Me? You say you have title insurance: did you know title insurance only covers the written title and excludes anything that would have been disclosed by a complete and accurate survey of the land? How much land are you buying? In many cases the acreage is still based on the theoretical acreage from the original government survey from the mid 1800’s. Depending on the location, a so-called 40-acre parcel can vary by several acres. At today’s land values of $2,000 to $7,000 per acre, an accurate determination of your property boundaries could more than offset the cost of a survey. If you are constructing improvements on your property, a survey is done to be certain that those improvements (landscaping, fences, decks, patios, sidewalks, driveways, sheds, garages, home additions, etc.) are placed on the property or within the setback restrictions of the zoning code, which can affect the resale value and/or the ability to sell the property in the future. Subdividing land into two or more parcels typically is regulated by state and local ordinance. This is required to promote public safety and general welfare, to further the orderly layout and use of land, to prevent the overcrowding of land, to lessen congestion of streets and highways, to provide for adequate light and air, to facilitate adequate provision for water, sewerage and other public requirements, to provide for proper access, and to promote proper monumenting of the land and deeding by accurate legal description. How is a property survey obtained? Property surveys must be performed by a Professional Land Surveyor who has been licensed by the Wisconsin Department of Regulation & Licensing. You can consult the phone directory “Yellow Pages” for land surveying firms in the area or request a referral from local attorneys, government offices, realtors, bankers, and title insurance companies or perform an internet search for “land surveyor-county-state”. Costs depend upon many conditions, such as: availability and adequacy of property records; previous surveying monuments and mapping; difficult terrain, heavy foliage and access; survey complexity, regulatory compliance and approval; inclement weather and seasonal conditions. An estimate of cost and a time schedule should be provided by the Land Surveyor. The deed and legal description of your property, adjoining properties and related records will be acquired and evaluated, and a survey made to locate, measure and monument the property boundaries and corners so they can be easily identified. A search for existing monuments will be done, measurements, notes and computations will be made, a survey plat or map prepared for public record, and copies provided to the client. The property survey must be completed in compliance with applicable state, county and other local government laws, codes and regulations. You will be informed of the discovery of any property description, boundary location, encroachment or other related problems of which you should be aware. Upon completion of the property survey, it is recommended that the boundary corner monuments be protected and preserved by the property owner. Land and its improvements are a major financial investment; therefore, all land ownership boundaries should be located, monumented and mapped by a Professional Land Surveyor. A quality Land Surveyor will carry Errors and Omissions Insurance to further protect their clients and it may be required for some services. Are other documents needed for a survey? Yes. A copy of property deeds for the subject parcel and adjoining parcels, an abstract of title or title insurance commitment and existing maps as well as other information relating to the property. It’s highly recommended to meet the Land Surveyor at the survey site for consultation or inspection. Consult with the Land Surveyor at the earliest opportunity; in some cases a survey may require several weeks or months to complete, depending upon local approval authority meeting schedules. What is the history of surveying? Since 5000 BC, surveying has served the political, economic and social needs of our society by defining and locating property boundaries, features and improvements. In Wisconsin, the original survey of our lands into the Public Land Survey System (townships, ranges and sections) began in 1831 from the border with Illinois and northward until completion in about 1865. From the Egyptian rope stretchers, ancient surveying measurement tools have progressed to the chain and compass, to the transit and tape to electronic distance and directional instruments, to the current GPS satellite receivers and Robotic Total Stations for modern surveying and mapping. Computation and mapping tools have also progressed from manual devices and methods to computers for calculations, data bases and computer aided drafting (CAD) or geographic information systems (GIS).